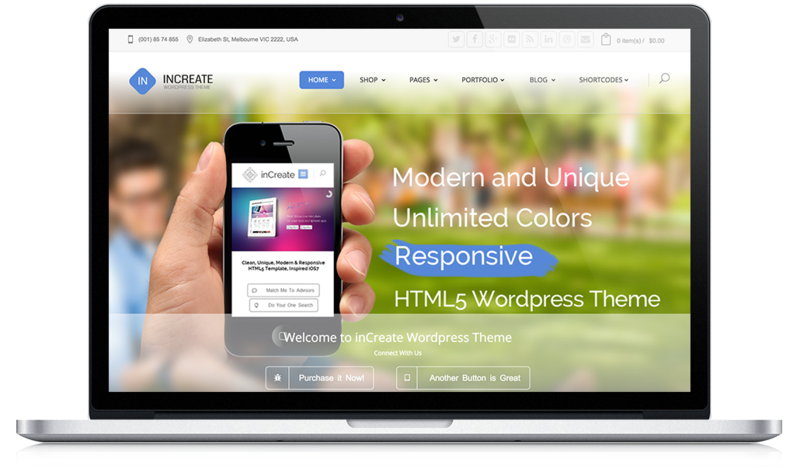 inCreate gives you unlimited possibilities to make your web pages. 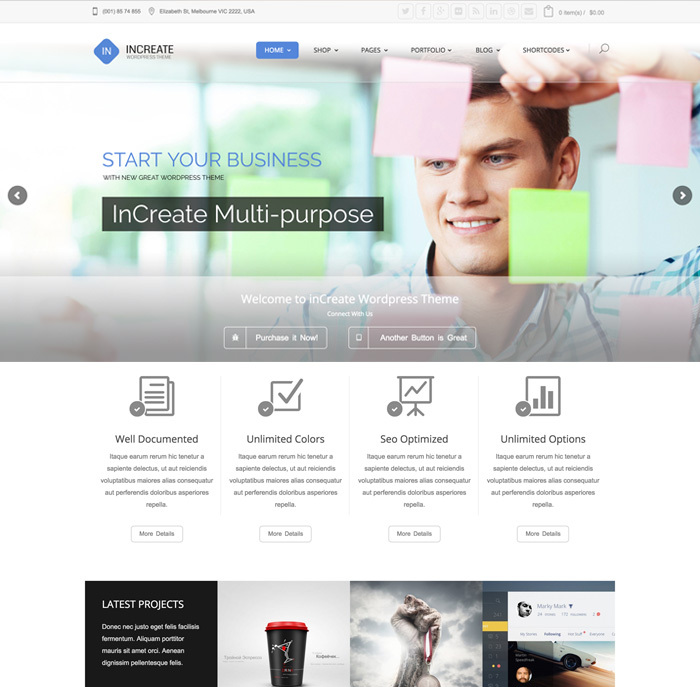 It comes with the most well-known page builder which allows you to create the layout you imagine visually and with just drag and dropping pre-built elements. 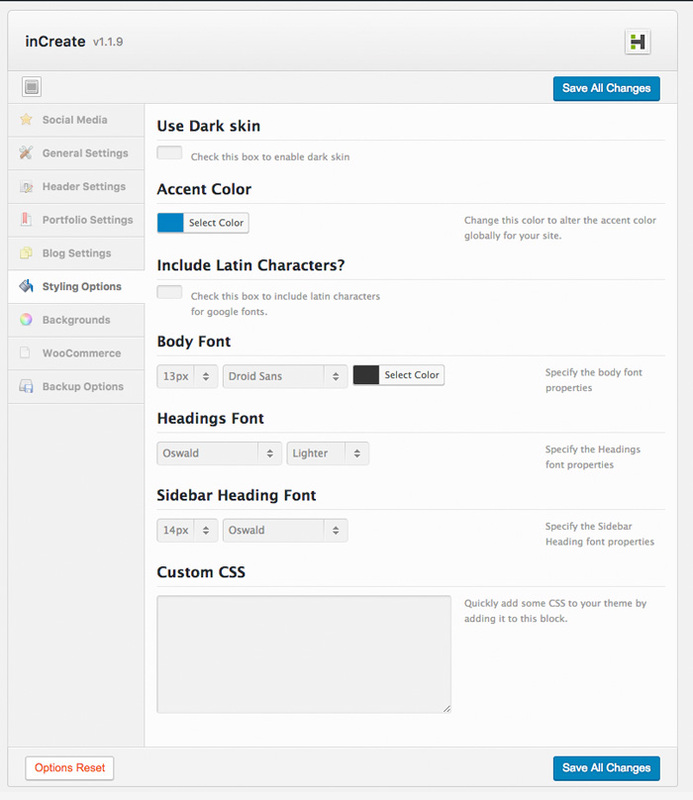 inCreate also adds unique page builder elements to the plugin. 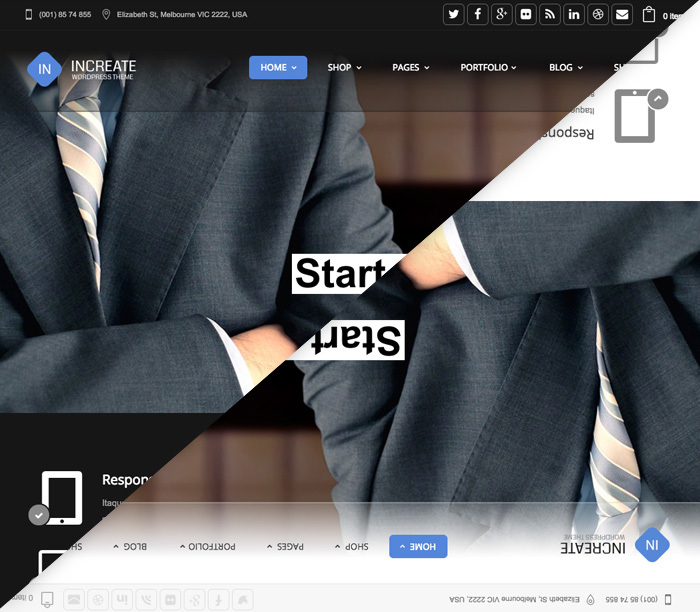 Also, if you’re looking for a handsome WordPress theme to build your online store, you’re about to find it! 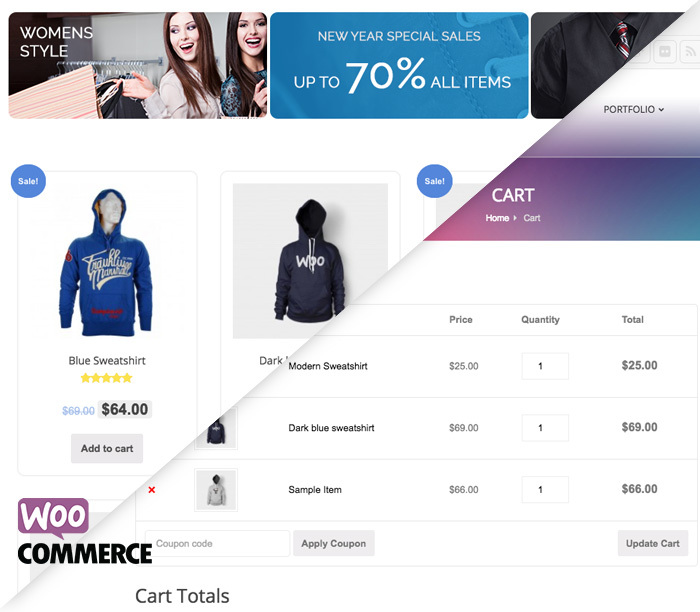 inCreate supports Woocommerce shopping plugin with a seamless design. 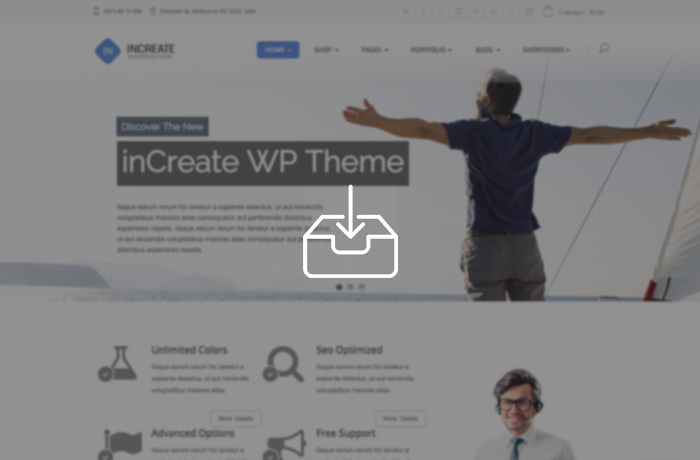 Please don’t leave this page without taking a look at the demo of the theme and the list of features. 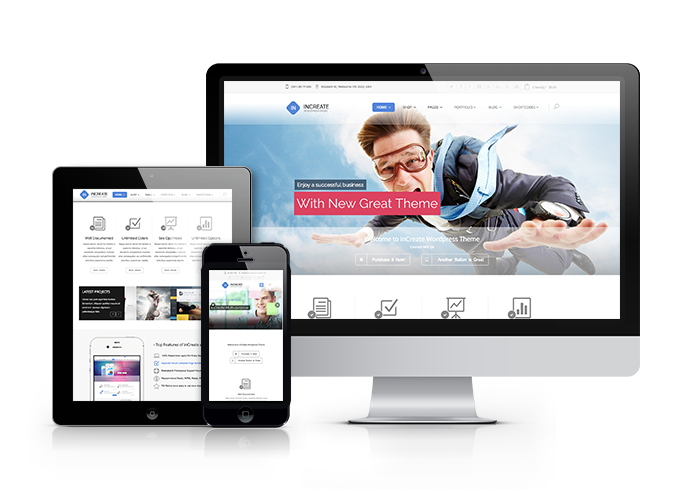 Visual composer is the leading WordPress page builder with more than 200,000 copies sold. It’s super easy to use and a real time-saver. 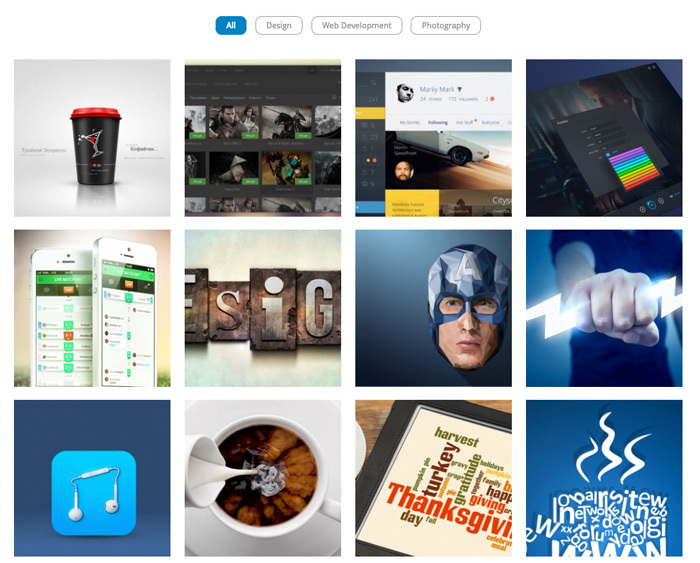 inCreate has included this lovely plugin for you and even added more elements to it. 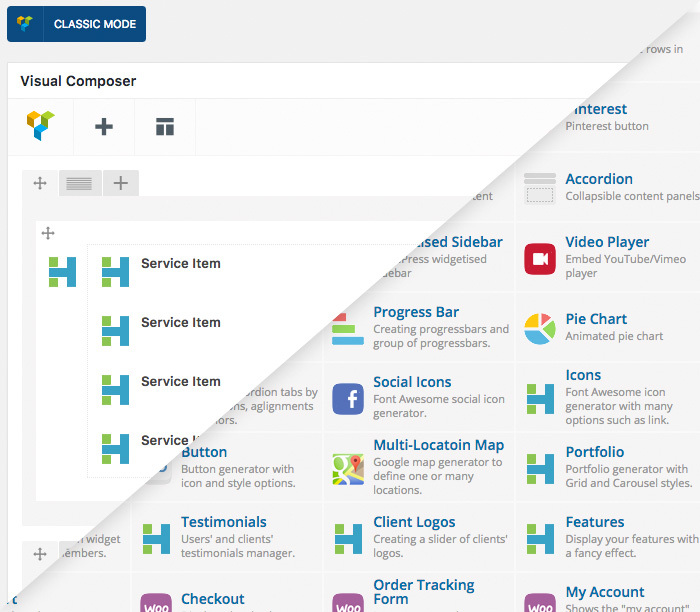 We’ve purchased an extended license of the plugin and included it in your theme for free! 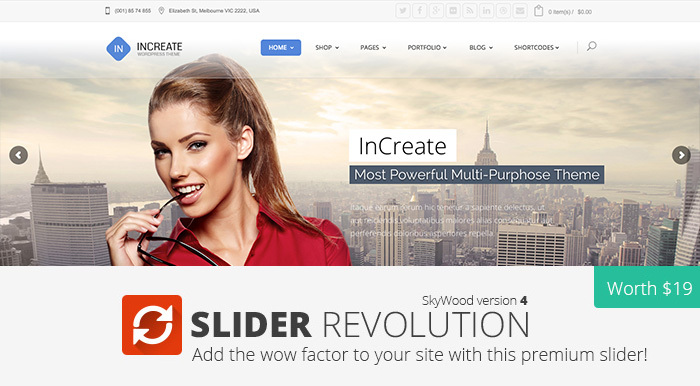 Using inCreate, you have an online store ready to use. With inCreate Woocommerce support, you can start selling online right away. Your store design will be similar to other parts of your website as inCreate reskinned Woocommerce templates to look as beautiful as other pages. 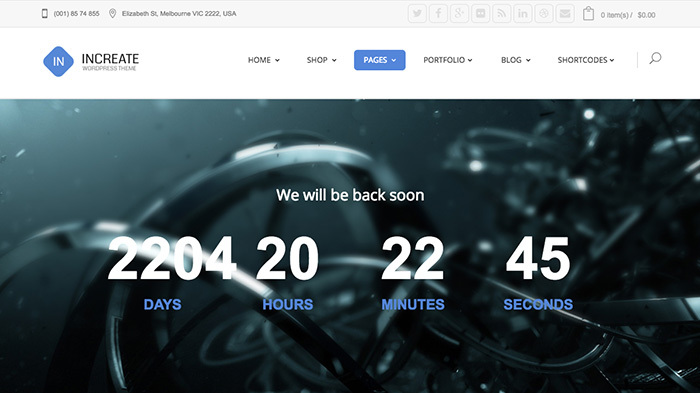 A coming-soon template for when your site isn’t ready. 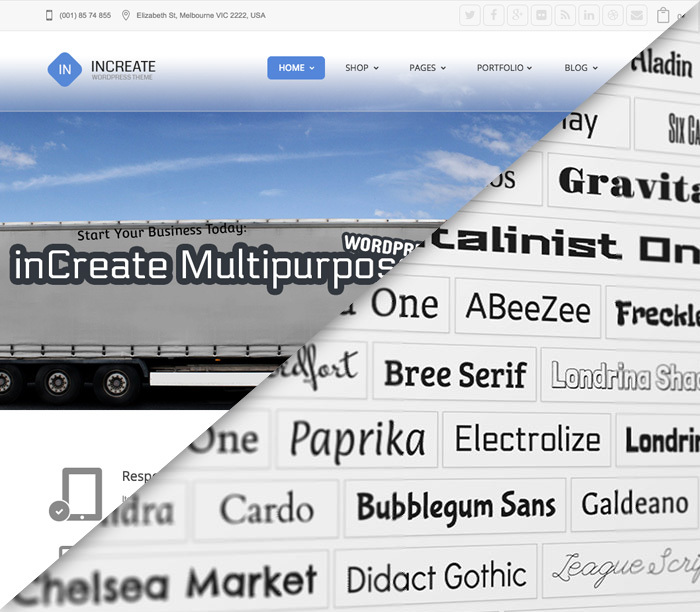 Take the control of the theme typography with the power of Google fonts. 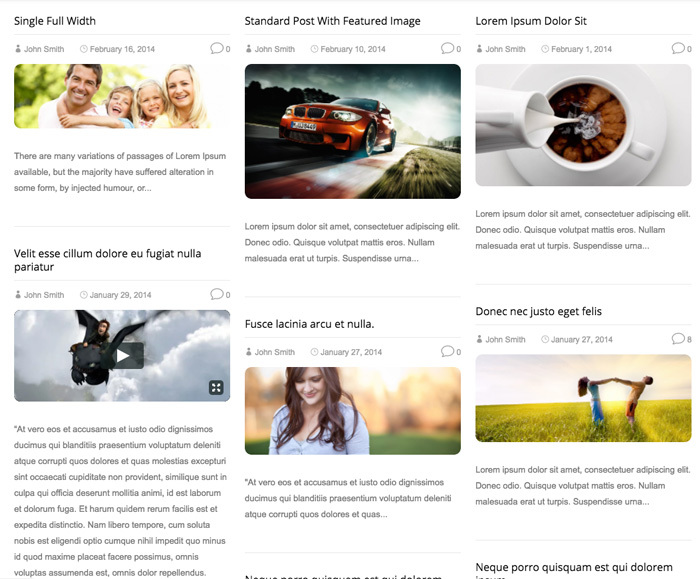 More than 4 layouts for the blog page. Choose your desired one and enjoy blogging. 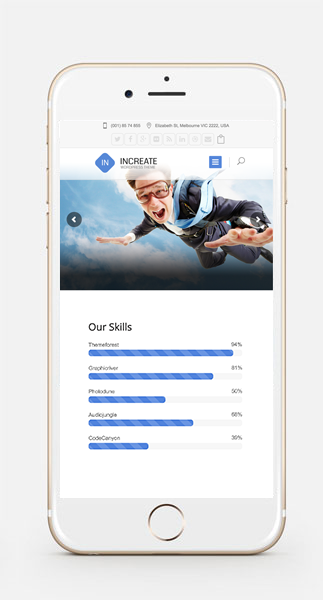 inCreate has a lot of shortcodes such as google map, accordion, tab, call-to-action, chart, … which can be used multiple times on any page you like.